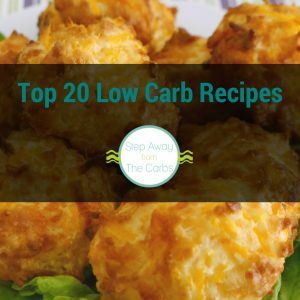 These delicious and fluffy pancakes are low carb, keto, sugar free, and gluten free! If you’re looking for a quick breakfast – try these pancakes! 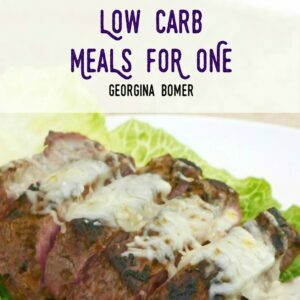 I’ve made the recipe for just a single serving – but it’s easy to increase if you would like to make more! Mix the batter by blending together an egg, sour cream, low carb sweetener (eg xylitol or Swerve), almond flour and baking powder. 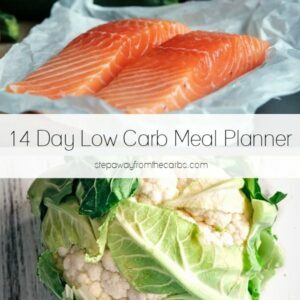 I use the attachment on my stick blender – it’s so handy and perfect for smaller quantities like this! Melt some unsalted butter in a small 8″ non-stick pan, and pour the batter in. Let the pancake cook for a five minutes, then carefully flip it and cook the other side for another two minutes. 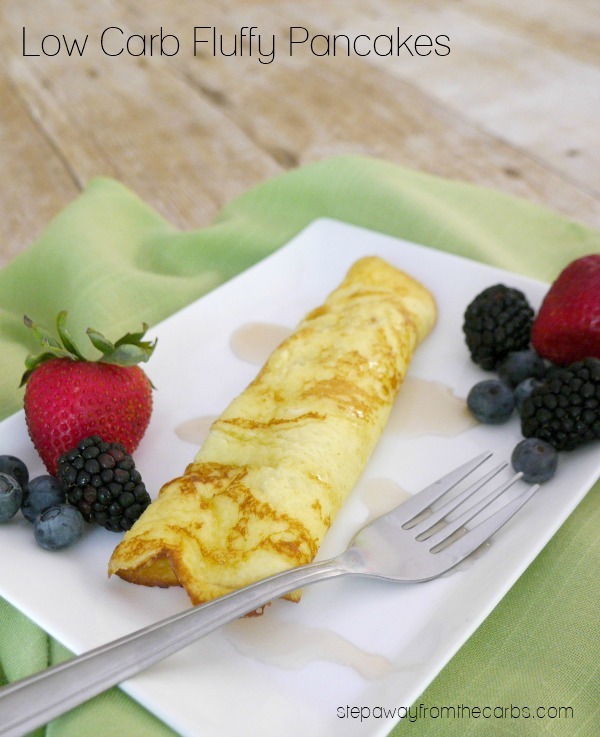 Serve with your choice of garnishes – like fresh berries, low carb maple syrup, whipped cream – or whatever you like! 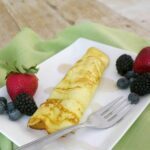 These pancakes are great for a quick low carb breakfast! 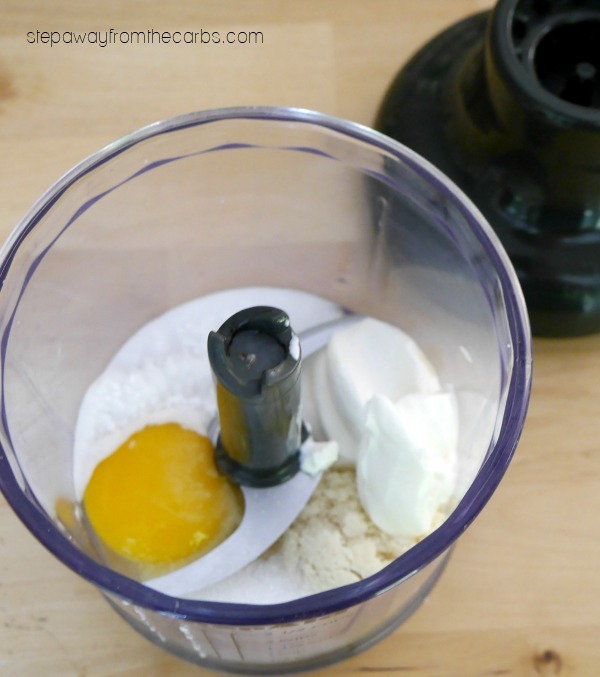 Mix the batter by blending together the egg, sour cream, sweetener, almond flour and baking powder. Melt some unsalted butter in a small 8" non-stick pan, and pour the batter in. Does not include carbs from the sugar alcohols in the sweetener or any garnish.